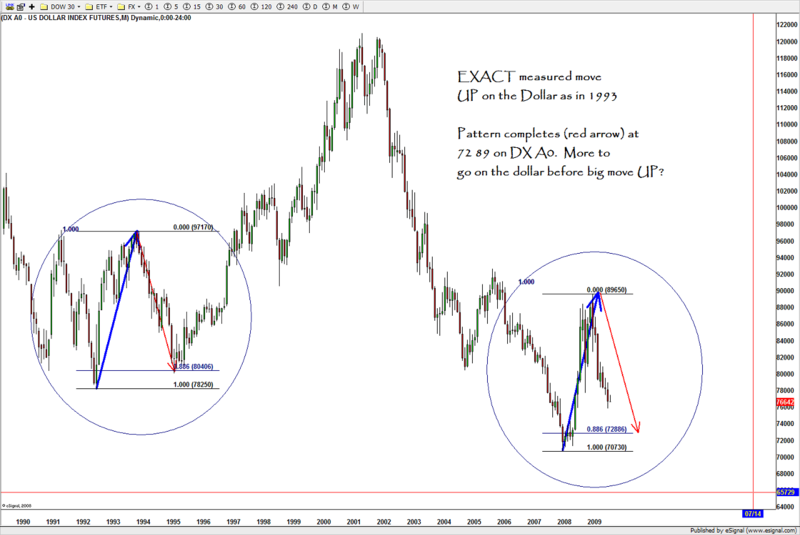 Additionally, if you have been reading this blog you’ll realize it’s focused 1) 100% on PATTERNS and 2) it’s unique value is tying PATTERNS into the circle of life (fixed income, equities, commodities, FX). 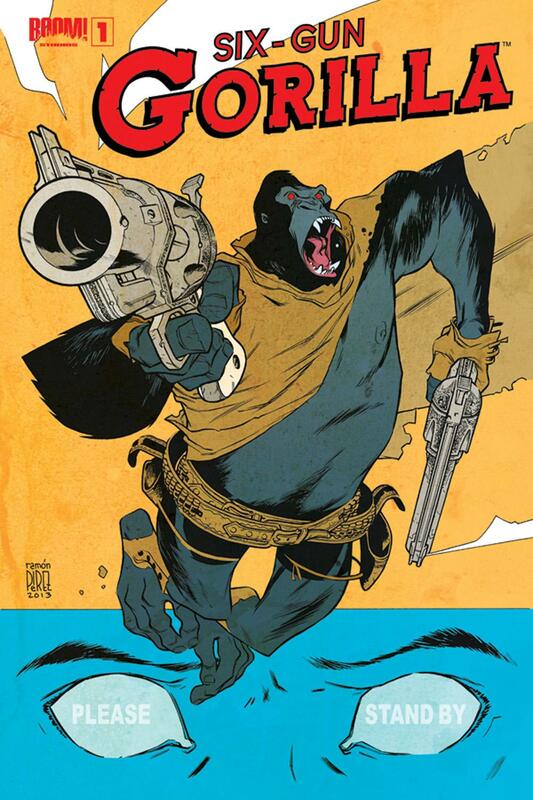 W/in the context of the circle, the gorilla is the Foreign Currency Market. According to the Bank for International Settlements – the preliminary global results from the 2013 Triennial Central Bank Survey of Foreign Exchange and OTC Derivatives Markets Activity show that trading in foreign exchange markets averaged $5.3 trillion per day in April 2013. The Dollar Index is somewhat important as it represents a basket of 9 currencies – the Euro representing a vast majority of it at 58%. 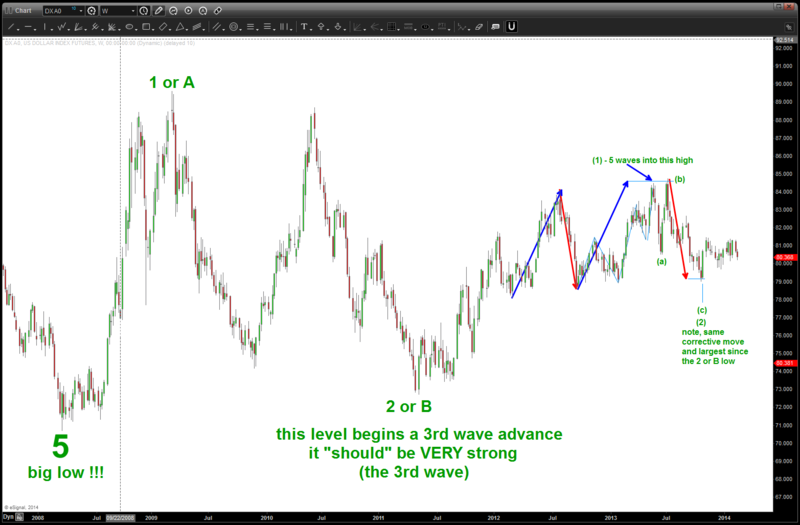 CLIFF NOTES: the BULLISH thesis is that after the 5 waves down from 121, a 3 wave (at a minimum) corrective pattern should ensue (A-B-C) and therefore the bounce has farther to travel. 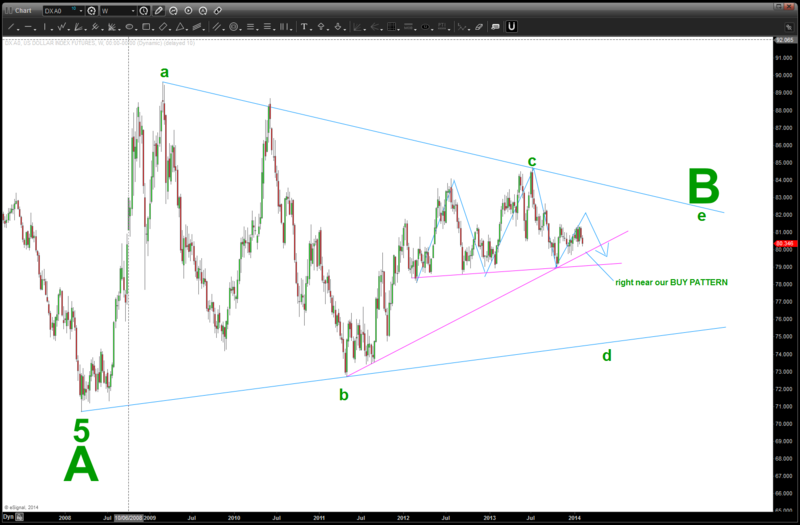 Additionally, it could mark a MAJOR low and we are starting back up for 5 waves. 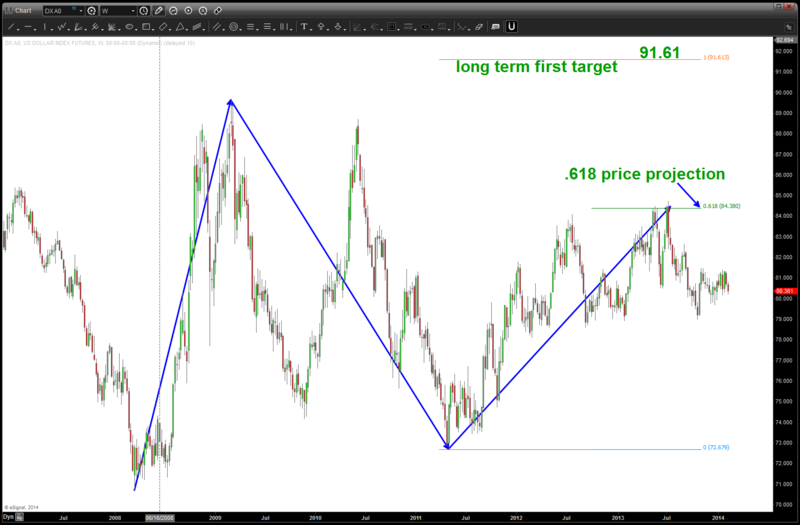 The BULLISH consensus for the US DOLLAR is that this move UP is not complete. 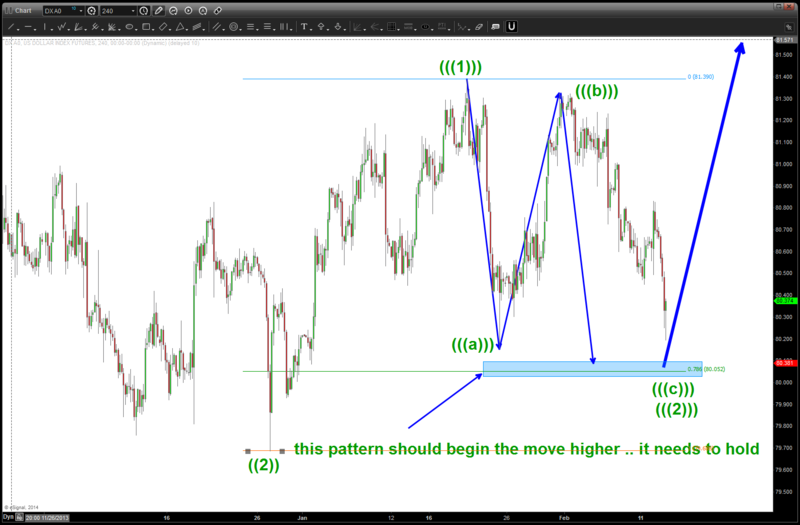 Please see this chart below … and, notice the EXACT move up from the PATTERN shown above at the “2 or B” level. so where are we now? Without showing an “elaborate” count, we can see by the chart below that we smacked right into a “big picture” .618 price projection that had it’s genesis from the 71 price low. 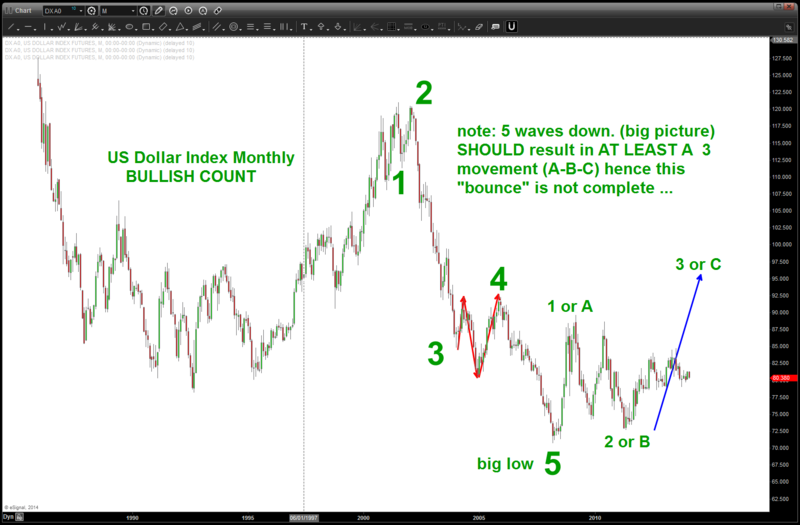 here’s the possible bullish count from the “2 or B” low that shows a POTENTIAL 3rd wave underway. 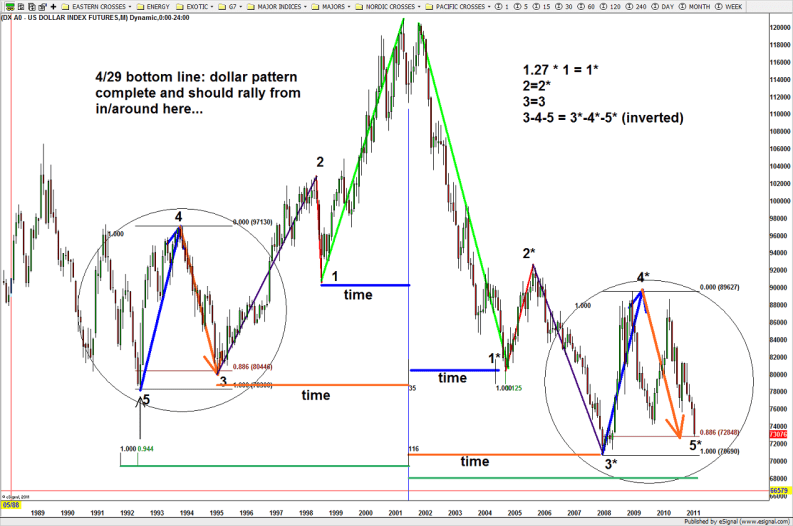 IF the count is correct, then the 79 level has to hold and is very crucial as it suggest that the 3rd wave should begin …soon and UP we go. 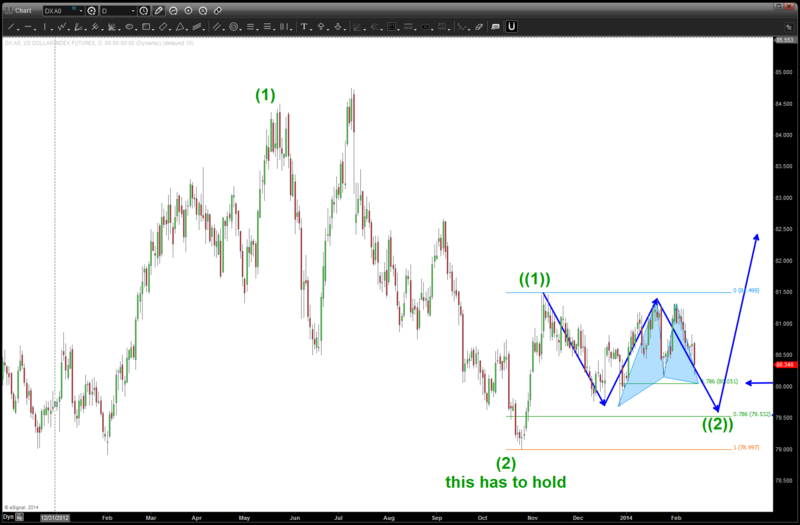 do we have a multi year bearish triangle forming? here’s one last thing to consider …. 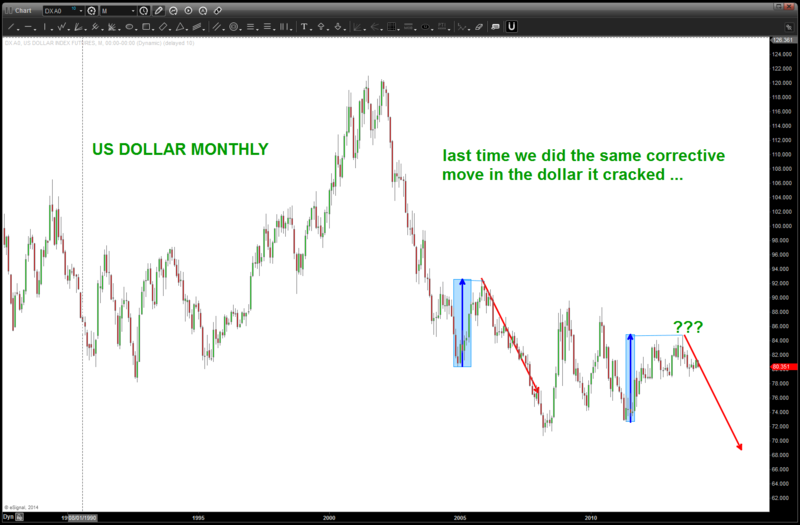 take note of the measured move UP move from the past and what happened after it completed … a bearish omen? a measure move omen ?